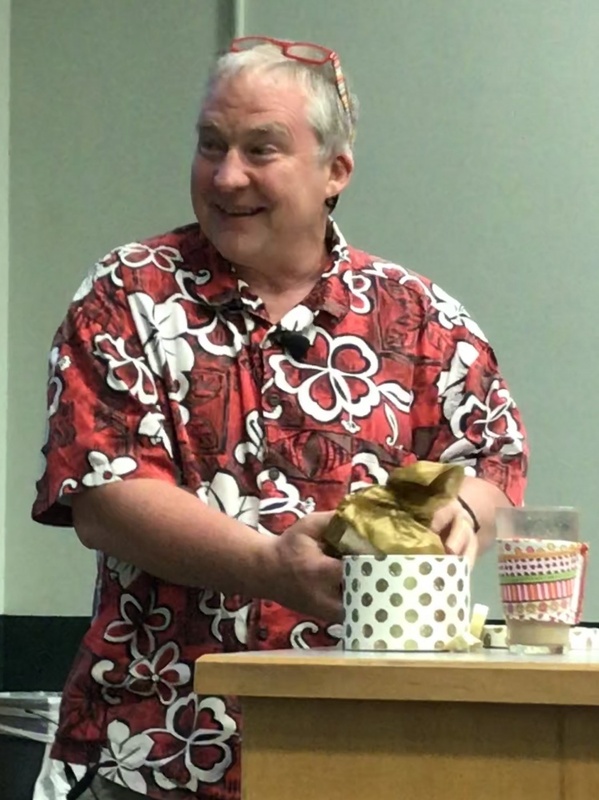 Great educators and apples have long gone hand in hand, and that tradition continues each year at the UO as top faculty members are recognized with the prestigious Distinguished Teaching Awards. Recipients each receive either a crystal or myrtlewood apple as part of the spring ritual honoring excellent teachers. This month, President Michael H. Schill and Provost Jayanth Banavar presented six faculty members with the awards. Faculty members are nominated by the campus community. 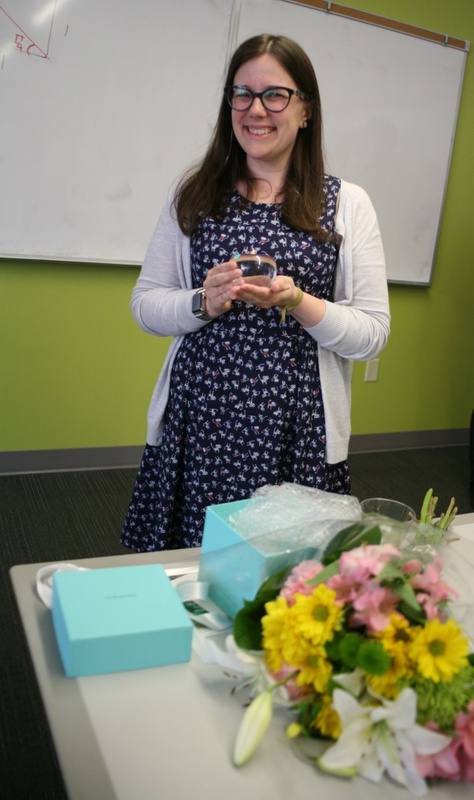 Those chosen are surprised with the award, usually during a department meeting or during class, allowing students, colleagues and family to celebrate the accomplishment. In all, faculty members can be nominated for six awards that fall into two main categories, the A.J. Ersted Awards for Distinguished Teaching and the Thomas F. Herman Awards. The Ersted Award for Distinguished Teaching recognizes excellence in teaching by faculty members early in their careers and has been awarded since 1957. The award is presented only to faculty members who have taught for more than two but less than seven years. 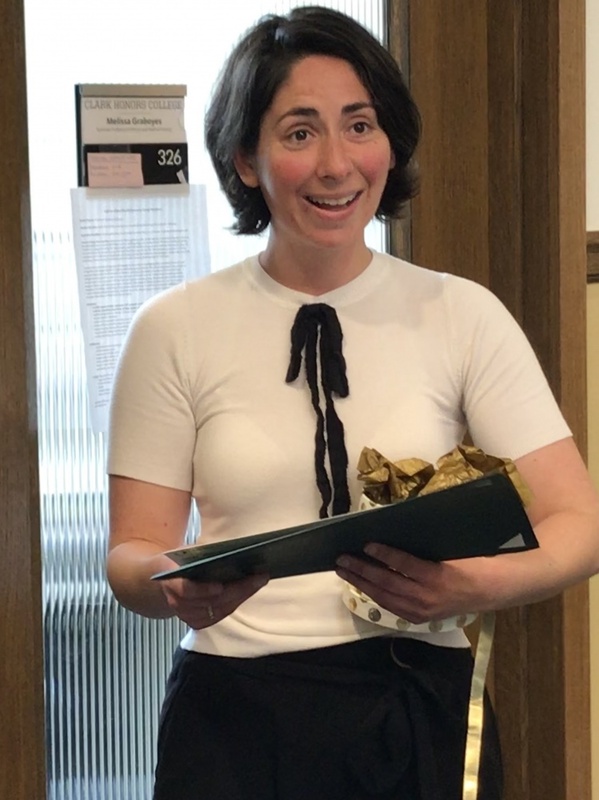 The winner of this year’s Ersted Award for Distinguished Teaching is Melissa Baese-Berk, an associate professor of linguistics who also recently received a Tykeson Teaching Award. Baese-Berk was recognized for her outstanding teaching abilities and the way she engages students in the learning progress. Baese-Berk has had upwards of 10 undergraduate research assistants in her lab and has been a mentor for both undergraduate and graduate students. The Ersted Award for Specialized Pedagogy recognizes early-career faculty members who have demonstrated exceptional abilities and expertise in a particular area of teaching. Melissa Graboyes, assistant professor of history in the Clark Honors College, was recognized this year for her interdisciplinary undergraduate research on global health problems. Graboyes provides students with her own research in progress as part of course materials and highlights steps in the research process which are otherwise invisible to students newly learning about university research. 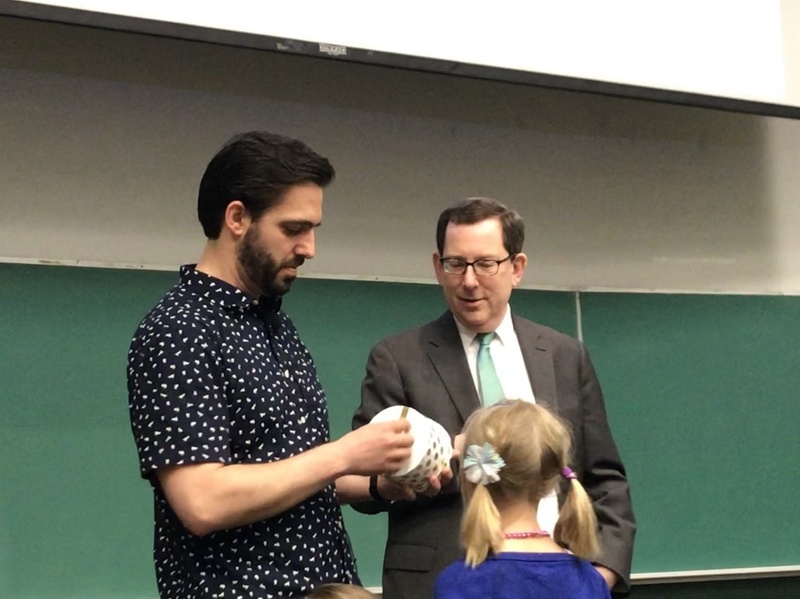 The Thomas F. Herman Faculty Achievement Award for Distinguished Teaching, first awarded in 1985, is given to more senior faculty members who have demonstrated longstanding excellence in teaching at the UO. 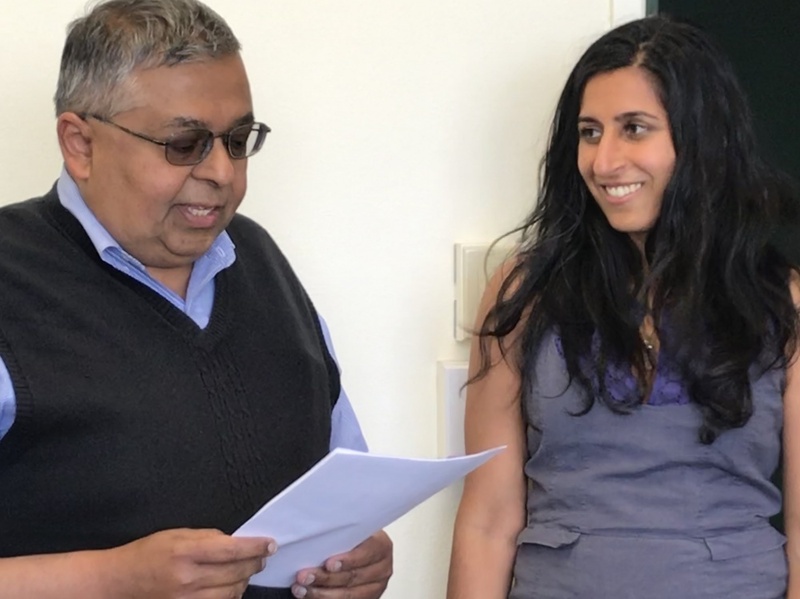 The award this year went to Anita Chari, associate professor in the Department of Political Science, who is known for her distinctive and conscious teaching, which she uses to create transformative educational learning experiences for her students. Her courses, from introductory undergraduate classes to graduate seminars, bring together analytical rigor and mindfulness to make political theory accessible. The Herman Award for Specialized Pedagogy honors senior faculty members for outstanding achievement in a focused area of teaching. Two faculty members are recognized with this award. 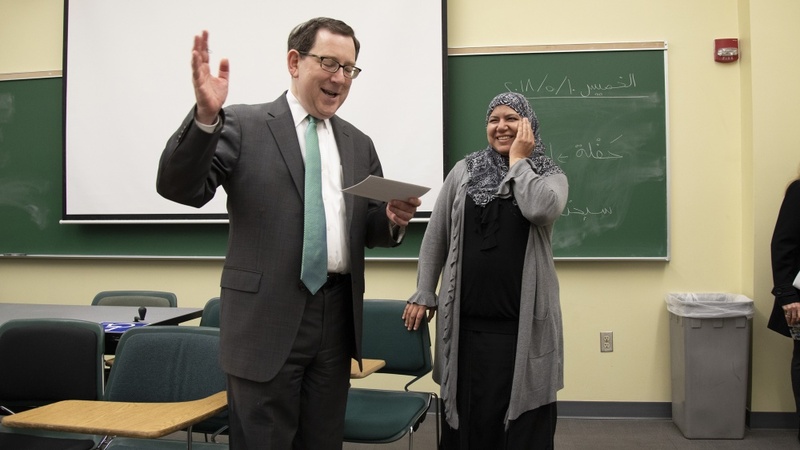 This year’s awardees are Hanan Elsherif, a senior instructor of Arabic language in the religious studies department, and Mark Carrier, a senior instructor in the biology department. Elsherif was recognized for dedication to her students and her range of educational approaches and strategies. Carrier was recognized for his extensive service as a mentor in the biology department and his teaching skills. First given last year, the Herman Award for Outstanding Online Education recognizes faculty members who have demonstrated at any stage of their career innovation and creativity in learning experiences using the online or hybrid format. This year, Philip Matern, an instructor in the human physiology department, was recognized for his use of online learning opportunities. Additional information about the awards and their recipients is available on the Office of the Provost website. Recipients of the Distinguished Teaching Awards — along with the recipients of Research Excellence Awards, Williams fellowships and Exceptional Mentorship Awards — will be honored at the Outstanding Achievement Awards ceremony. The event is a celebration of faculty accomplishments across all disciplines at the UO. The ceremony begins at 5 p.m., Thursday, May 24, in the Global Scholars Hall. A more formal invitation will be sent closer to the date.